Note that the battery and solar panel plugs on SunAir are of type JST-PH 2 pin. 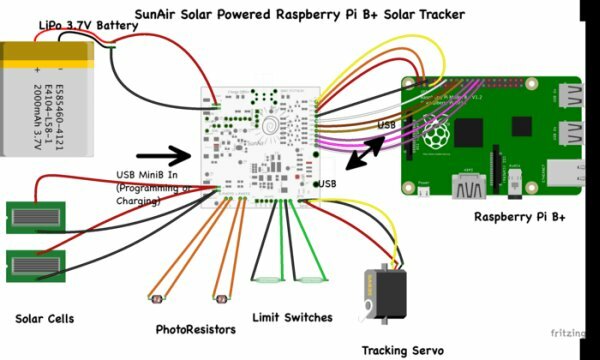 The RasPiConnect/ArduinoConnect control panel for SunAir is shown below. SwitchDoc Labs has completed a licensing agreement with MiloCreek to put a version of RasPiConnect and ArduinoConnect up on the Appstore for SunAir customers for $2.00. SunAir is customizable with your software and hardware. Download OpenSCAD files and STL Files Here. Use Cases: Build your project! 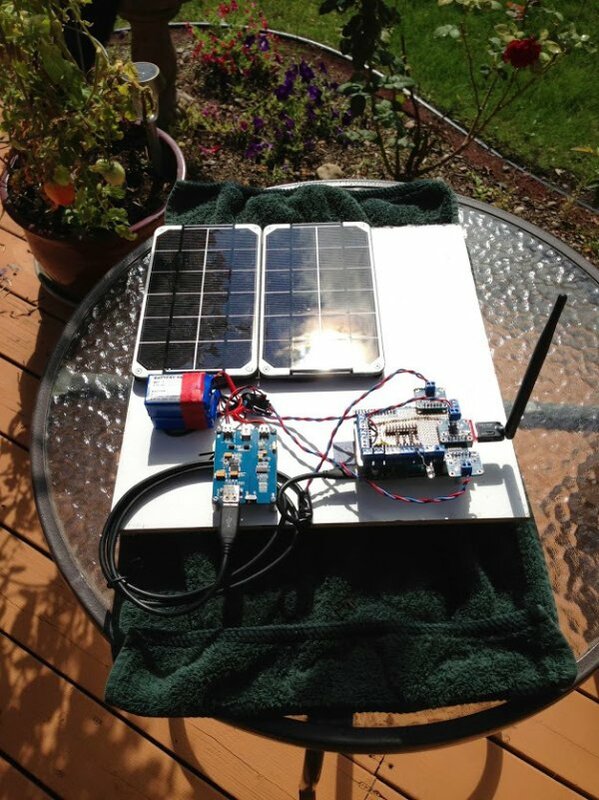 thought it would be cool to put a Solar Powered remotely controlled box down in the Caribbean on the island nation of Curacao, and Project Curacao was born. SunAir generation 1 is shown to the left. The next step was to put this fully debugged system in a weather proof box and write the 8000 lines of code that would control it. We ended up putting two complete SunAir 2nd generation solar systems in the box for redundancy and system isolation. One for the Raspberry Pi and one for the Battery WatchDog Arduino which monitored and controlled the power for the Raspberry Pi. You can see the SunAirPlus prototype board in the lower part of the picture to the right of the Pi Camera.